This is in addition to posting record sales and product launches in 2012, along with increased investments and highly significant industry accolades for its North American operations. "Thanks to the support of our loyal customers, and the hard work of our dedicated associates, team members and dealers, Toyota achieved a number of important milestones in 2012," stated Jim Lentz, president and chief executive officer, Toyota Motor Sales, USA, Inc. as well as senior vice president, Toyota Motor North America. "As we continue with the most aggressive product launch in our history, we're confident this momentum will continue in the year ahead." To overcome the negative publicity of unintended acceleration claims, Toyota begin a reinvention of the brand with the launch of 19 new or significantly refreshed models during 2012. This helped the brand reach US sales numbers that outpaced the industry, with sales of Toyota, Lexus and Scion vehicles topping 2 million units. This gained the group a 14.4 percent share of the market, up from 2.2 percent from 2011. The Toyota Division was the top retail brand in the United States, with annual sales up by 27 percent, though only outselling the nearest competitor by 133,000 vehicles. At the head of this was the continuing success of the Toyota Camry, still the best-selling car in America for 11 straight years, with sales of over 400K, a 31 percent increase in the highly competitive mid-size sedan segment. In addition, Scion sales rose an astonishing 50 percent, largely due to interest generated by the hot new FR-S, drawing 65 percent of buyers that had never owned a Toyota or Scion before. As the world leader in hybrid technology, Toyota saw hybrid sales and those of other environmentally sensitive vehicles nearly double in 2012, relinquishing some 70 percent of the green car market to the Toyota group. Toyota's certified used vehicles and the customary warranty continuation for cars up to four-years-old saw sales once again topping the industry. Part of the increase in production resulted from the investment in the company’s newest plant in Blue Springs MS, which will ultimately produce 3,500 new industry jobs. Toyota’s 14 North American manufacturing facilities now account for a full 70 percent of the brand's vehicles sold in the US. The $1.5 billion investment over the last 13 months included numerous production expansions currently underway across the continent. Also of note was the fabrication of the 25 millionth North America vehicle rolling of the line in Georgetown KY, namely a 2013 Avalon Hybrid. Last year, Toyota exported 124,084 US-assembled vehicles, an increase of 45 percent and an all-time high, bringing jobs and vitality to the American economy. In addition, for three years running, the Toyota Camry has topped the Cars.com American Made Index, ranking the cars that are the most American, based on domestic parts content, point of assembly and number sold to U.S. buyers. Perhaps the crowning achievement was the initiation of production of the RAV4 EV at Toyota Motor Manufacturing’s Woodstock facility in Canada. Toyota could not have achieved so many landmark accomplishments in 2012 if not for a thoroughly positive response from both industry observers and automotive buyers. The group got 19 models certified as Top Safety Picks by the IIHS, while gaining 18 best resale value awards from Kelly Blue Book. Surpassing over 1 million fans on Facebook is no small feat in itself. 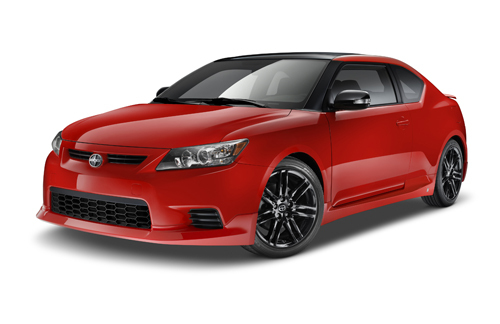 During 2013, Toyota will debut nine new or refreshed models, including the all-new Toyota RAV4 and Corolla, not to mention the scintillating Scion tC. Akio Toyoda’s overriding mantra is to build more exciting and fun-to-drive vehicles, while maintaining dominance in the hybrid world with the Prius family of vehicles. Toyota expects even greater growth in 2013, with another 370,000 units sold in North America this year, to push the group’s total US sales over 2.15 million. The products introduced last year and this are expected to account for more than 60 percent of these new sales. Note: In our source document, the number of exported vehicles included a typo, listing it at 124 million, which simply cannot be. We removed three zeroes to put it in the realm of possibility and have contacted Toyota for a clarification of the actual number of exported vehicles – will update when they reply.